A first-time ever singles match has been added to the lineup for All In. Today's episode of Being the Elite officially confirmed that Kenny Omega will be facing Pentagon Jr. on the show. They previously shared the ring together in a six-man tag during last year's PWG Battle of Los Angeles, with Omega & The Young Bucks defeating Pentagon, Fenix & Flamita. 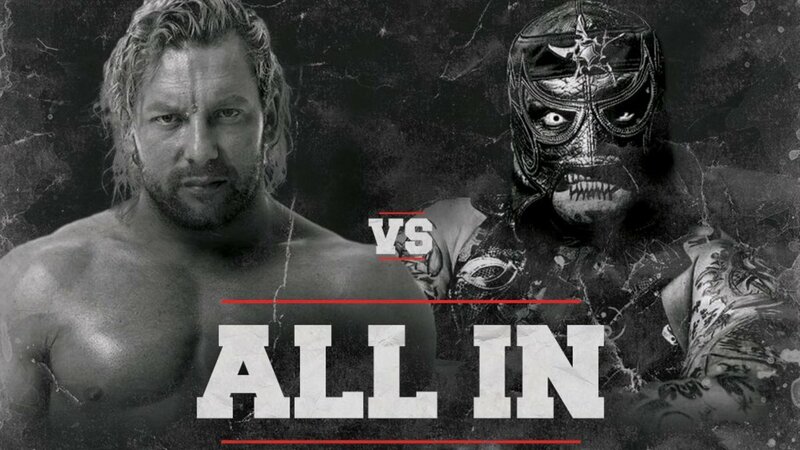 Omega vs. Pentagon has seemed likely for All In since it was announced that Pentagon wouldn't be teaming with Fenix on the show. Rey Mysterio, Fenix & Bandido will be taking on The Young Bucks & Kota Ibushi. The Sears Centre Arena in Hoffman Estates, Illinois will host All In on September 1. The main card will air live on pay-per-view, Fite TV, and HonorClub at 7 p.m. Eastern time. Before that, the first hour (All In: Zero Hour) will be shown exclusively on WGN America.